Vacuum Type – Most types of vacuums have models offer “bare floor” cleaning, but you’ll probably want to go with the canister type if you can. It’s not an absolute must, but these are designed to clean multiple surface types, while uprights and other vacuums are often just modified designs for carpet cleaning. Forget the Steamers – Steam is a bad idea for hardwood floors. If your cleaning regimen involves water on your floor in any way, you want to have manual control over it (many floors should never involve just using water). Filtration – This one’s easy. You want HEPA filtration. 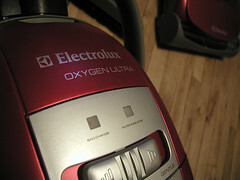 Your vacuum should have a HEPA filtration system that filters particles down to 0.3 microns. Walking on a floor with dirt and dust particles on it has the long-term effect of sandpaper on your floor’s finish. Wet/Dry Cleaning – You definitely want a vacuum that’s capable of wet and dry cleaning. Any time a liquid comes into contact with your hardwood floor, you need to get it up as quickly as possible. That means getting the bulk of it up with a vacuum cleaner and then wiping it down. The alternative is a warped floor. Easy Hardwood/Carpet Transition – Since it’s likely that you’ll be vacuuming any rugs on the floor as you go, it saves hassle to pick one that can change from hardwood cleaning to rug/carpet. Make Sure it Rolls Well – Check the casters (wheels) on the vacuum. Roll it around. It should move smoothly as you do and never catch or stutter. Such things can mar your finish. Make Sure it has a Crevice Tool – A wand that will work around the baseboards and corners is essential. You can really tell the difference when the edges of the floor are as clean as the rest and when they’re not. Quick and Easy Research – Check with Consumer Reports or other similar websites. In just a few minutes, you can get a good short list of qualities you want in a vacuum, and even brands and models that match your needs. Since the feedback is from actual customers, you get a fair assessment instead of an advertisement. Decide Your Budget Before You Buy – If price is no object, you can get a vacuum cleaner that does everything on every surface in any room. 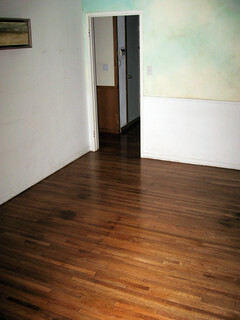 If you have a price limit, focus on the specific needs of your hardwood floor. Any vacuum that will work on the hardwood floor will work on carpet. Compare Models – You can’t know every suitable vacuum out there in your price range. One trick for shopping around is to go to one central web location that has most models out there, like Amazon.com. You may well find your best selection this way.